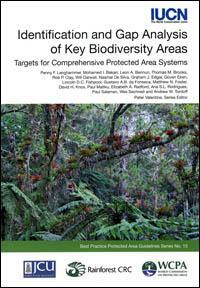 The World Database of Key Biodiversity Areas™ hosts data on Key Biodiversity Areas (KBAs). This database can support strategic decisions on protected areas by governments or civil society towards achieving Aichi Biodiversity Targets. It also guides the identification of sites under international conventions and in the setting of private sector policies and standards. The database is managed by the KBA Partnership, which comprises 11 founding partners and is served by the KBA secretariat hosted jointly by BirdLife International and IUCN. Since 2009, the IUCN WCPA-SSC Joint Task Force on Biodiversity and Protected Area led a global consultation to identify and mobilise key experts and organizations around Key Biodiversity Areas. The KBA Partnership was established in September 2016 at the IUCN World Conservation Congress and comprises 11 founding partners, many of which are IUCN members. How are KBAs identified ? How to use KBA data ? See more KBA publications in the IUCN online Library.